Health Sciences University of Hokkaido, School of Dentistry and University of Indonesia, signed renewal of memorandum of understanding (MOU) on 6 September, 2018. 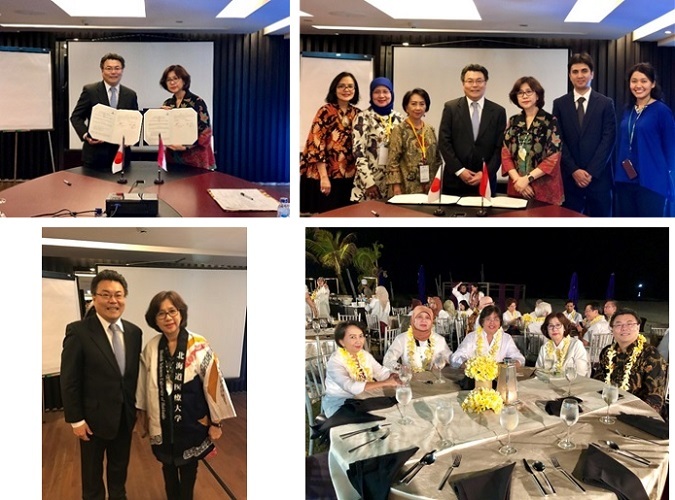 Prof. Linda Kusdhany Dean, University of Indonesia, and Prof. Takashi Saito, Dean of School of Dentistry, Health Sciences University of Hokkaido, signed the agreement on behalf of their respective sides. Assistant Prof. Md Riasat Hasan from Health Sciences University of Hokkaido and other faculty members of University of Indonesia, were present at the event.